The arterial supply of adrenal gland is derived from three sources, namely the inferior phrenic artery, the aorta, and the renal artery. Adrenal vessels subdivide into minute branches prior to entering the adrenal cortex, where they further branch into capillaries ending in venous plexii within the adrenal medulla (9). On the right side, a single right adrenal vein emerges from the right adrenal apex and drains into the inferior vena cava. On the left side, a single left adrenal vein emerges from the middle portion of the gland and drains into the left renal vein. The left inferior phrenic vein, usually not easy to identify and typically communicating, can be injured during the dissection along the medial edge of the left gland due to its medial course. Hence, delicate dissection is essential to preserve the periadrenal vascular plexus, and the fibro-areolar tissue attachment of the remaining portion of adrenal gland. Its rich vascular supply makes the adrenal a highly vascularized organ. 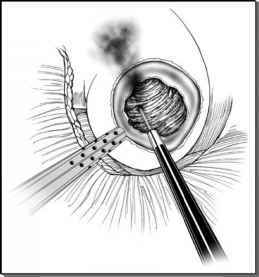 Its segmental arterial supply enables partial adrenalectomy. If the main adrenal vein needs to be sacrificed during the surgical procedure, the adrenal venous drainage gets diverted through the venae comitantes, which accompany the artery, ensuring viability of the remnant gland.